Damage from the three hurricanes that struck the U.S. and possessions last August and September is put at $265 billion dollars by the National Oceanic and Atmospheric Administration. Add billions more just from the California wildfires, and the damage caused by disasters last year was staggering. 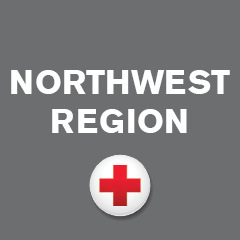 Equally staggering is how often the American Red Cross responds to home fires and weather incidents that leave victims all across the country in need of emergency assistance on a daily basis. The auction will be held Friday, February 16 from 6 to 8:30 pm at the Central campus of Bates Technical College at 2320 South 19th Street in Tacoma, WA. Admission is free, and money raised by the auction will go to the Red Cross for hurricane relief. Attend the event! Click HERE to register. Buyers at the Tacoma auction will be able to bid on a wide variety of art forms — all made from materials salvaged by prisoners or purchased with their own money from prison commissaries. There will be oil and acrylic paintings, welded art made from discarded materials, knitted Afghan blankets, fine pencil drawings, beadwork, handmade Native American drums, and more. The event is being organized by Numbers to Names — a group that says its goal is to build bridges between prison inmates and the outside world. But the idea for an auction of inmate art to support hurricane relief actually originated with a pair of prisoners at the state’s Cedar Creek Corrections Center at Littlerock, WA. Beckham loved the idea so much that she extended it to inmates at other prisons. “She even had inmates assist in writing the project proposal for DOC leadership staff,” says Rachel Friederich, a spokesperson for the Washington State Department of Corrections (DOC). The way Beckham sees the auction, “We’re shining a light on the fact that the people who are incarcerated want to give back.” The DOC’s Friederich says inmates know that creating art for the auction won’t have any impact on their sentences. Even so, she says prison officials find that inmates are glad to have an altruistic impact, even if it is from behind bars. Prison officials say that letting inmates work on such recreational activities as artwork can reduce disciplinary problems and stress-related injuries. Prisoners must use their own money to pay for art supplies. The Lakewood Arts Commission of Lakewood, WA is loaning equipment to display the artwork. The staff of Washington State Correctional Industries — which runs work training programs in prisons — collected and inventoried each piece of art and is transporting the art to the Bates campus. If you can’t attend the auction but still want to contribute to hurricane relief, you can donate directly to the Red Cross. Go to redcross.org/local/Washington/ways-to-donate to see how. Friederich of the DOC says that state employees can make payroll contributions through the Washington State Combined Fund Drive. Let us know you’re coming! Click HERE for more event information.